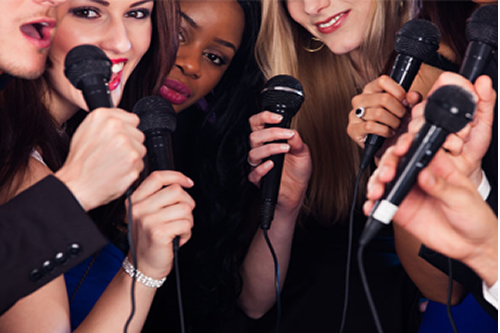 Why is karaoke Hen Party Package so much fun? Because girls just wanna have fun (sorry). But really, our Karaoke Hen Package is an activity for a fun loving bride to be. It gives her a great chance to de-stress ahead of the big day and let loose as she belts out some karaoke classics while sipping on a round of Cocktails in The Garavogue bar. With our Karaoke package you can choose from over 20,000 songs; have a crack at the old classics or get down to the latest Top 40 hits. Guests can perform on our main stage, prance around with their cordless microphone and see the lyrics on the floor to ceiling projector screen.